A week's worth of exciting races culminates on Sunday, November 10th - Don't miss them! 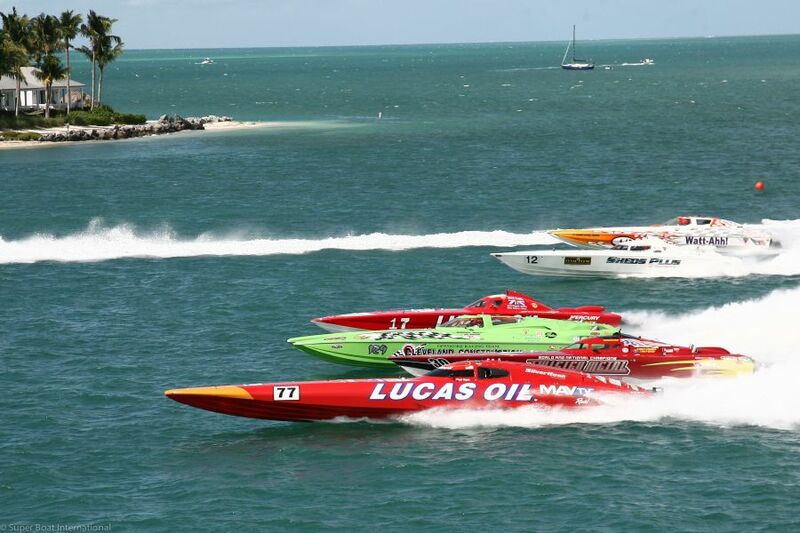 KEY WEST, Florida Keys — Powerboats manned by leading American and international racing teams are to thunder through the waters of Key West Harbor during the Key West World Championship, slated Sunday through Sunday, Nov. 3-10. Boats are to race on a 6.2-mile course that features both rough and calm water conditions during the season-ending event acclaimed as the Indianapolis 500 of the offshore powerboat racing circuit. The challenging course is a primary reason for the island city’s reputation as one of the world’s premier racing venues. The course layout provides spectators unmatched close-up views of the high-speed action. According to race organizer John Carbonell boats will be within 50 yards of race fans at the Truman Waterfront grandstand area as they roar into the outer harbor. The Key West World Championship is to kick off with a parade of race boats down the island's legendary Duval Street beginning at 4 p.m. Sunday, Nov. 3. The excitement builds through the week with races Wednesday, Nov. 6; Friday, Nov. 8, and Sunday, Nov. 10. Three races are scheduled per day, each featuring boats from multiple classes. Among spectators’ favorites is the Superboat Unlimited class, which draws powerful contenders competing at speeds that can exceed 165 mph. On nonrace days, powerboat enthusiasts can view the boats, watch in-water testing runs and mingle with racers and crews at the race village on Key West’s Truman Waterfront, located at the end of Southard Street past Thomas Street and Truman Annex. In addition, parties and events are planned for racers and fans.